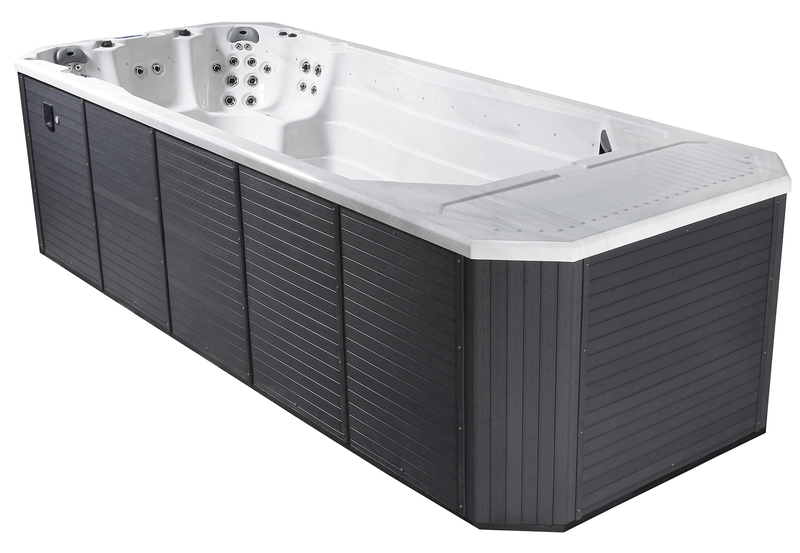 The Riptide Manta is the largest combined swim and spa in the Riptide range, and is fantastic when used as both exercise pool and hot tub. 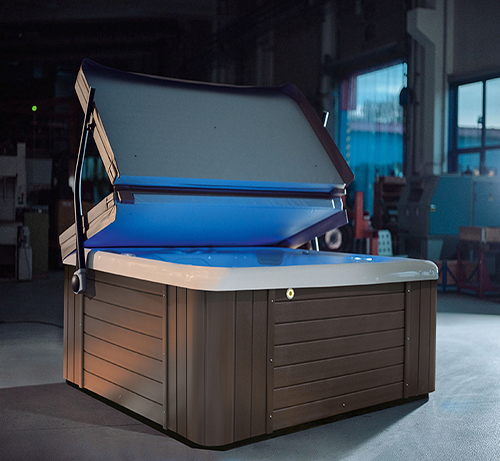 The Riptide Manta Swim Spa is the largest combined swim and spa in the Riptide range and is fantastic when used as both exercise pool and hot tub. The contrasting swim line provides a point of reference, which when combined with the backlighting on the jets themselves, helps to maintain a central position in the swim stream. 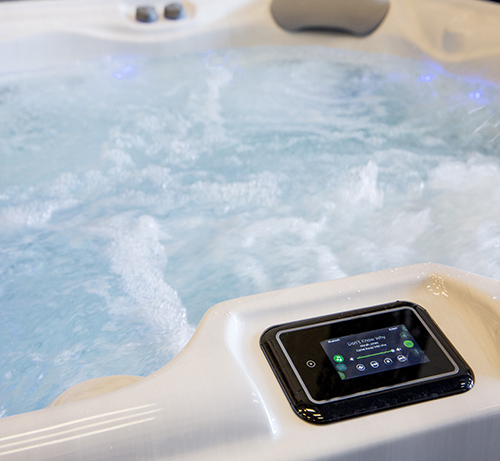 Fully Featured, Luxurious Spa – The fantastic hot tub end of the Riptide Manta has comfortable seating for two and features 14 individually adjustable, high-powered hydromassage jets with attractive stainless steel escutcheons. The spa experience in the Manta is comparable to that of a dedicated hot tub.